Jeep Compass Sport Plus Edition has been launched at the price of 15.99 lakh ex-showroom India. Jeep Compass SUV in its sport plus guise gets 16-inch alloy wheels, dual-zone climate control, reverse parking sensors and blacked-out roof rails as standard. The puts the Sport plus edition above the Sport trim, however, still under the Longitude trim. In addition to that, the Compass Sport Plus edition gets the electronic parking brake although the choice of an automatic transmission will be missed. The Jeep Compass Sport Plus Edition comes with a choice of petrol and a diesel engine. The 1.4-litre turbocharged petrol engine produces 163PS and 250Nm of torque whereas the diesel variant produces 173PS and 350Nm of torque with its 2.0-litre turbo diesel engine. Both the engines are offered with a six-speed manual transmission. The Jeep Compass Sport Plus Edition also gets disc brake setup for all four wheels. 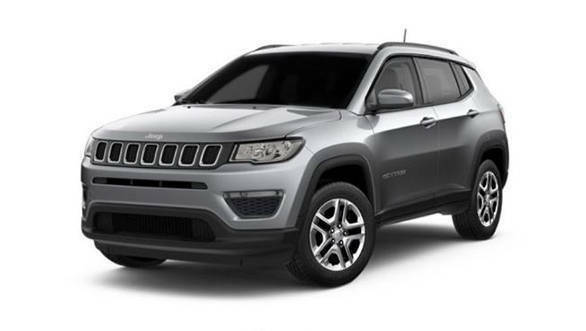 The Jeep Compass rivals the Hyundai Creta, Mahindra XUV500 and the Tata Harrier, with aggressive pricing it gives the American manufacturer an advantage to pitch the car strongly to its customers.